On making Peter Eisenman transparent. Design and research tend to be seen as independent or even alternate practices. Often, they are thought of as consecutive activities, as if architectural facts only emerge as outcomes of research once a design is complete. The very role buildings play in the production of collective research is rarely regarded as something of significance. Adding to this artificial distinction, often only research done by professional researchers is valued as worthy of consideration. The ways unofficial researchers use description, data collection, archiving, evaluation, comparison, and narration to orient their actions in ordinary life or to produce knowledge tend to be ignored. What is it that we call research when we talk of architecture? With this text I will describe an experiment in which I took part more than ten years ago when all these distinctions were intentionally blurred. 12 Actions to Make Peter Eisenman Transparent. Andrés Jaque/Office for Political Innovation. 2002. In 2002 the architectural practice I coordinate (Office for Political Innovation) was hired for quite a peculiar commission: the design of a wooden fence to conceal the massive site of Peter Eisenman Architects’ Cidade da Cultura de Galicia, then under construction. The enormous movement of earth that the construction required had turned the previously green and peaceful site in Monte Gaiás into a landscape of mud and noisy machinery. For many people, the building site was ugly and too visible. Members of the region’s government decided that the fast and radical transformation of a landscape so well-known by the people of Galicia could lead to a critical debate that would jeopardize the execution of the architectural project and the popularity of the government. The government officials agreed that hiding the process behind a wooden fence was the best strategy to prevent public debate. The importance of the Cidade da Cultura as a collective experiment needs further explanation. In 2010, talking about Cidade da Cultura on the occasion of the opening of an important section of the complex, Peter Eisenman stated: “I don’t think this building is about the future of architecture. I think it is about the future of Galicia. That is its great value. It will also transform the way Galicia relates to the world…”1 With a final cost of 475.9 million euros (5.66 times the cost of the Guggenheim Bilbao, 2 a comparable publicly funded project completed in the neighboring Basque Country region in 1997), Cidade da Cultura can certainly be considered Galicia’s most important architectural experiment in recent decades, or at least the one that has consumed the greatest number of public resources. The fact that the building site was divided into eight parts, each awarded to one of the eight most important construction companies operating in the region, followed a basic goal: to make sure that the companies with the greatest capacity to engage in building innovation were involved in the project. The exceptional dimension of the construction and its geometrical complexity made necessary the mobilization of more than a hundred engineers to develop the more than fifteen thousand detail plans. 3 Just to give a sense of the mobilization of materials the project required, the local stone providers, in a region known for exporting stone to the world, were not able to respond to Cidade da Cultura’s demand for granite in the final stages of construction, and additional shipments had to be sent from Brazil. A significant number of industrial patents were developed during the process, including, for example, patents for adaptable cable conduit systems and for secondary ceiling structures. Cidade da Cultura constituted a massive experiment in which the knowledge of the region was challenged and developed to an exceptional degree. The building, as it embodies the results of that experiment, can be considered the material archive of the evolution of the collective intelligence that the project mobilized, where we can discover the patents, the innovations in its detailing, the work of the eight companies and the exceptional public investment that the project gathered. Even though rethinking a wooden fence can be seen as a minor contribution, it gains a great political significance if we consider the role that the government expected the fence to play. The fence was part of a plan to shape the participation in the Cidade da Cultura by the society that had founded and was being transformed by this massive experiment. Witnesses to a system long since established., collecting evidence, narrating, posing questions, raising issues, and evaluating alternatives. This research project was a reaction to the uncertainty and the risks that the construction process contained, risks that included increases in the budget, differences in users’ behavior from what was planned, and the possibility that the economic development meant to be triggered by the process would never happen. Conflict as catalyst. in the project’s experimental and research capital, producing an extension of its intellectual footprint and maximizing its capacity to incorporate a larger representation of the variety of Galicia’s society. Public transportation and urban facilities to render the building site as an open-to-the-public space. 12 Actions to Make Peter Eisenman Transparent. Andrés Jaque/Office for Political Innovation. 2002. The twelve actions were grouped into three different categories according to their goals. The first category would group those actions meant to provide “access” to publics not directly involved in the works of the construction of the Cidade da Cultura. Basic actions within this category included the provision of a bus line connecting the building site to the main public transport nodes. More complex actions included the celebration of open house days with tours giving access for visitors into security enclosures and the organization of public events that would attract publics to the most important moments of the works, such as the completion of a significant element of Eisenman’s topography or of the cladding of a building. Color codes to make transparent the sectors and resources mobilized by each construction company. 12 Actions to Make Peter Eisenman Transparent. Andrés Jaque/Office for Political Innovation. 2002. Color codes to make transparent the sectors awarded to each construction company. 12 Actions to Make Peter Eisenman Transparent. Andrés Jaque/Office for Political Innovation. 2002. Signage for trucks arriving and leaving the Cidade da Cultura. 12 Actions to Make Peter Eisenman Transparent. Andrés Jaque/Office for Political Innovation. 2002. LED displays with information about the ongoing works. 12 Actions to Make Peter Eisenman Transparent. Andrés Jaque/Office for Political Innovation. 2002. 12 Actions to Make Peter Eisenman Transparent. Andrés Jaque/Office for Political Innovation. 2002. Photographs by Miguel de Guzmán. The second category comprised those actions intended to make transparent those facts that otherwise only experts would be able to read. 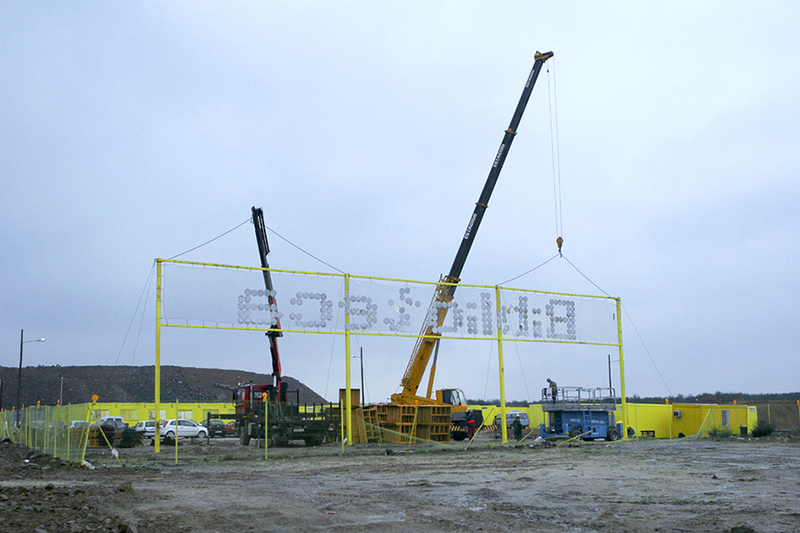 These actions included the use of color codes to make visible the demarcations of the boundaries between the construction companies and the resources mobilized by each one of them, LED screens to explain what tasks were being executed at each moment, and balloons to indicate the amount of money already spent in each sector of the site. This category also included affixing stickers to every truck arriving or leaving the building site, by which the contents of the truck and its port of origin or destination could be understood, making visible, for example, the port of origin of the Brazilian granite or the location where the construction debris was to be processed. A third group included a series of strategies to provide space for those issues raised by publics not directly involved in the process. Their inputs would be collected, recorded, archived, and displayed together with those of official experts (such as architects or engineers). These strategies included forums to discuss the technology applied on site, with participation by both engineers and the general public; video recorders available for anyone to leave statements, theories, opinions, or proposals to be displayed in the city center; and screens where messages texted to an automatic system would be displayed on site. For more than a year a number of these actions were applied. Very often the capacity of visitors to evaluate the evolution of the building site was significantly higher than that of the experts. Important controversies emerged when, for example, particular publics learned materials easy to source from local producers had been supplied from distant ports of origin. 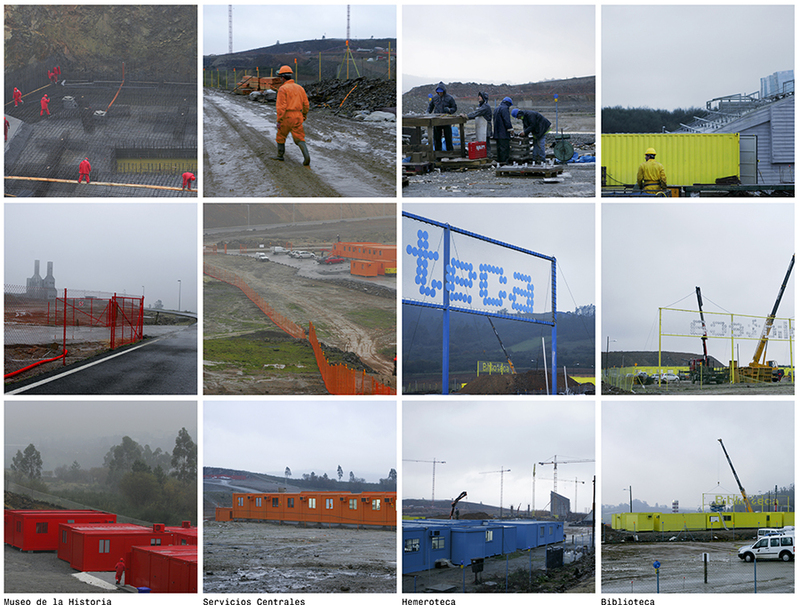 The first group of actions succeeded in rendering the building site as a place people from all around Galicia could regularly visit and explore. The second group of actions provided a certain level of symmetry in the calculability of the site to the general public and to the architects and engineers in charge of the project. The third one proved too successful, to the extent that its success as a tool to convey and archive opinions on the development of the works was the reason why the twelve actions were canceled, at the very moment when the project cost had doubled from that of the first government-approved estimate. Research, calculus, description, discussion, archiving, collection, narrating, collecting evidence, raising issues, defending hierarchies, enunciating, detecting alternative historiographies, evaluating, and conveying are, in part, the constituents of everyday life. These activities not only take place in the specialized rooms where official researchers work but are also carried out by all publics. Research should be seen as a collective activity, in which color design, events design, and platform design can play important roles. Architectural devices can foster and trigger this collective research at the same time that they cater to many other missions. Maybe, when considered in this way, design and research should be seen not so much as independent practices, so new ways of rethinking their relationship can be invented. Andrés Jaque directs Andrés Jaque Architects and the Office for Political Innovation. The architecture office explores the potential of post-foundational politics and symmetrical approaches to the sociology of technology to rethink architectural practices. Jaque is currently Advanced Design Professor at Graduate School of Architecture, Planning and Preservation GSAPP Columbia University. This is a fascinating commission from start to finish. What was the total cost? What process was used to engage the construction companies and solicit buy-in; both in terms of disclosing information and amending material action (painting their equipment, etc.)? LABORATORY SERIES. No.15. Left: Diagram of the Stanley Milgram Experiment. Conducted at Yale University in 1961, the experiment examined the relationship between obedience and authority. The test involved two actors, one test subject and an electroshock generator: the experimenter (the figure of authority), the teacher (the test subject) and the learner (the accomplice). 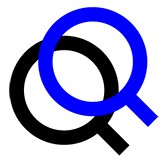 In this scheme, the experimenter (E) would order the teacher (T) to administer fake electric shocks to the learner (L) for every wrong answer in a series of questions, increasing the voltage each time. Two thirds of all participants (i.e. teachers) administered the highest 450 volt shock. All others continued to 300 volts. 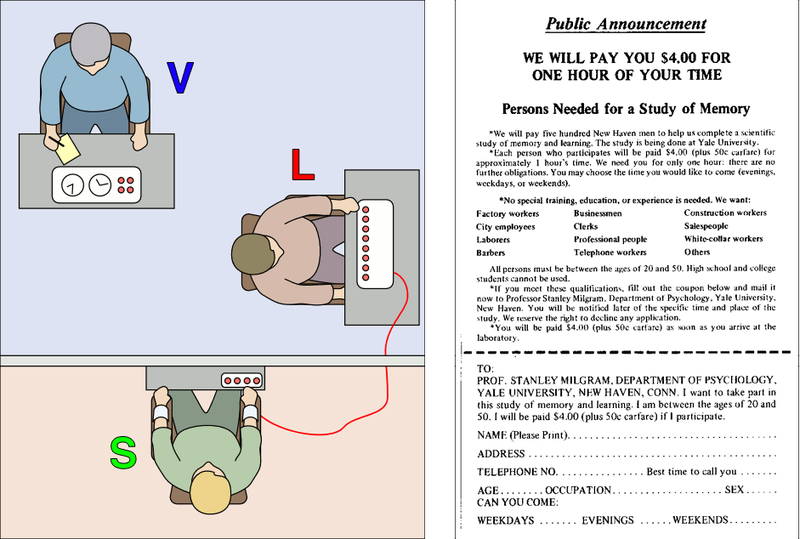 Photo: Wikipedia Right: Advertisement recruiting subjects for the Milgram Experiment on memory. “I set up a simple experiment to test how much pain an ordinary citizen would inflict on another person simply because he was ordered to by an experimental scientist. Stark authority was pitted against the subjects’ strongest moral imperatives against hurting others, and, with the subjects’ ears ringing with the screams of the victims, authority won more often than not. The extreme willingness of adults to go to almost any lengths on the command of an authority constitutes the chief finding of the study and the fact most urgently demanding explanation.” – Stanley Milgram Photo: Wikipedia.